You are here: Home / Special Guest Blogger / Emma Willoughby: And so, this is Christmas and it can be full-on… and that’s ok!! And so, this is Christmas and it can be full-on… and that’s ok!! ‘So this is Christmas’ is the song currently going around and around in my head. I can’t stop hearing the chorus: A very merry Christmas and a happy New Year, let’s hope it’s a good one without any fear. It’s my latest festive season earworm thanks to shopping centre muzak , but it’s holding my attention for other reasons: hope and fear. They both turn up at this time of year even perhaps if we don’t notice. When I was a little girl, maybe 10 or 11, I really hoped I was going to get what I wanted for Christmas. I can’t for the life of me remember exactly what that was, but I remember being completely determined to find out if Mum and Dad had got it for me. I snuck into my parents’ bedroom because I figured that would be the likely place for presents to be hidden and searched high and low until Bingo! I found the stash of presents. And at the moment of finding them, it wasn’t what I hoped for. I was disappointed and sad. Not because I didn’t find what I wanted, but rather because that I had removed the bit that mattered. The giving. I realised that joy didn’t come from the gift itself, but rather it came having someone who cared to offer it to you. I learnt that day how lucky I was. I figured out that appreciating the love and care from others, whenever and wherever you receive it and whether or not it is what you hoped for is the real gift. So now that I’ve told you that story, you’d think I’d be quite accepting and calm in managing the festive season. Well… that’s not entirely (or remotely) true, I’m still practising! It’s not called the ‘silly season’ for nothing. Just like hoping for the right present, we can also fear getting it all wrong. Don’t expect a hassle-free festive season: It might be a special time (or you might not celebrate Christmas and are wondering what all the fuss is about), but stress can still be part of the experience and that’s ok.
Make sure you are kind to yourself: Give yourself time every day to do the things that keep you grounded. Whether it’s time alone, listening to your favourite music, calling a friend, walking the dog, having a cup of tea in the sunshine – do at least one every day and maybe two or three extra on Christmas and New Year’s! Write a list: Put the things that keep you grounded at the top. Then list the things you would like to do over the festive season. Check your list with someone you trust and if there’s too much on it, decide together what things can go. The things that keep you grounded must stay on the list. Consider giving: Your time, your presence or a gift to those in our community who may be lonely or in need over the festive season. Check in with your local council or other community organisations in your local area about how you might be able to help. Not only will you do good, you’ll feel good too – research has shown that giving has been shown to reduce blood pressure, enhance sleep, lower rates of heart disease and may even help you live longer. On Christmas and New Year’s, have a plan: If you’re on your own, celebrate your wonderfulness and do something special in your own fine company. If you’d rather not be alone, organise a time to catch up with a friend or on the phone, or consider volunteering and find out if there is a local organisation or charity that you could help out at. If you’re with friends and family and the socialising gets too much – go for a walk after lunch or find a quiet spot to relax and breathe or, if you need to chat about the day, call a friend and swap silly season stories! Wishing you all peace and goodwill over the festive season and a very happy new year – let’s hope it’s a good one without any fear. Emma is a human being with a range of experiences and skills including formal qualifications in Social Work, and Health Promotion and further training in Positive Psychology and Mindful Self-Compassion. 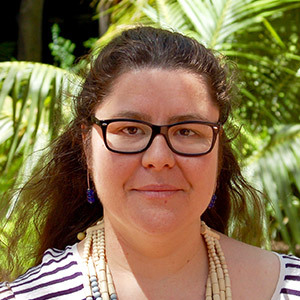 Emma has 12 years of working in mental health in NGOs and Government, with a focus on lived experience. 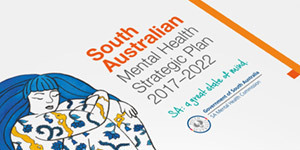 Emma is currently the Principal Project Officer Stakeholder Engagement with the SA Mental Health Commission (SAMHC) where she spends her time listening to what wellbeing means for people and embedding this into the work of the SAMHC. Emma is a social introvert who likes to take time out to think about things and drink tea in the sunshine.